Here's a long lost project for you. I've been intending on making myself a leather headband with multiple strips, since I made my leather coil cuffs, but I never got around to (which is ridiculous because it took no time at all). 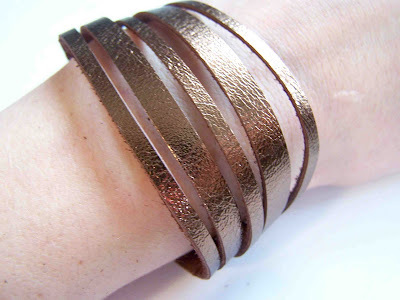 I recently snatched up a piece of bronze colored foil leather, it was perfect for the project. I cut a 3/4" x 14" strip. I left about an inch and a half of solid leather on each end, and cut two slits in my leather (1/4" apart) using my rotary cutter. 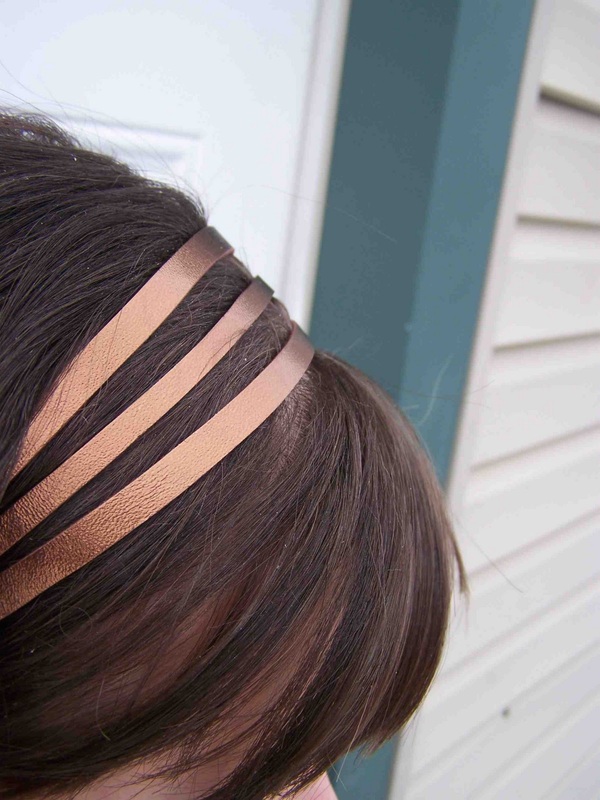 I then used this tutorial, and some elastic, to turn it into a little headband. The cuts in the leather allow you to separate the individual "coils", for a fun look. I had enough leather left over for a slightly different coil cuff. I cut three of my strips to 1/8" wide, and two to 1/4". 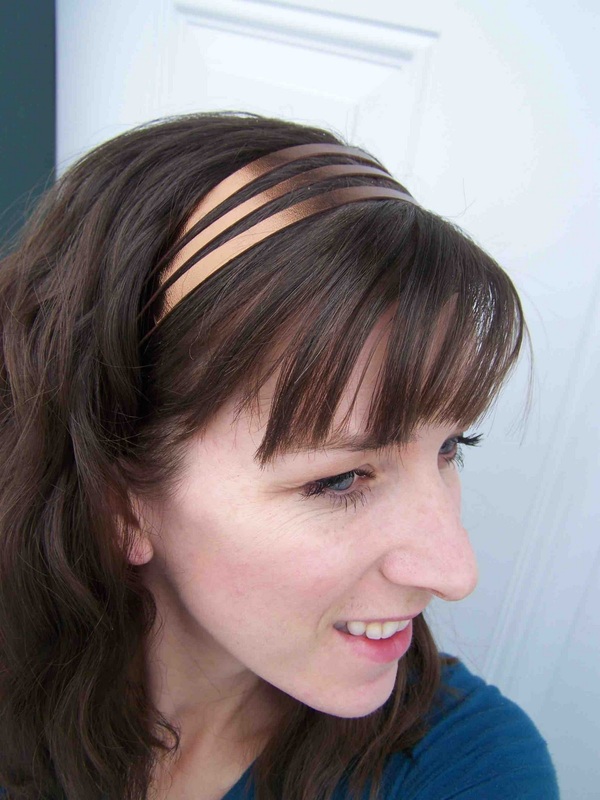 Love that headband! 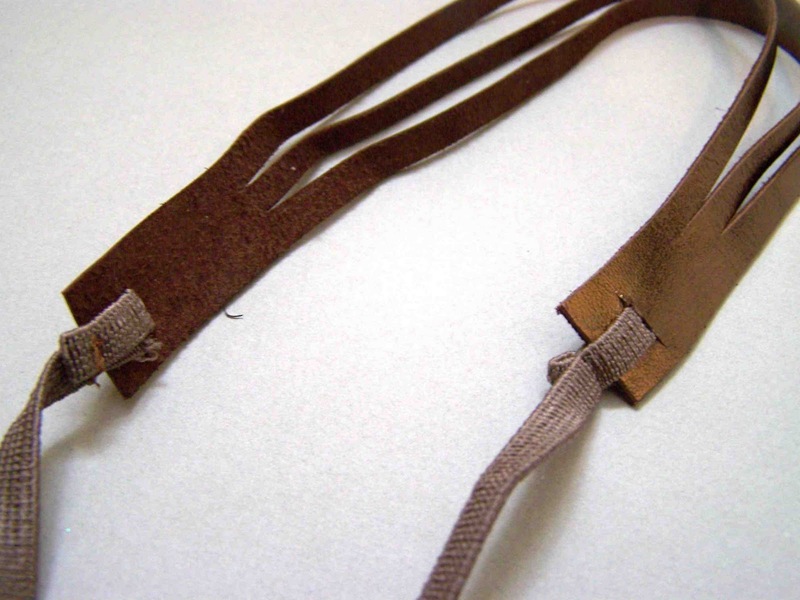 I like how you keep the ends of the leather one solid piece, instead of cutting the strips all the way through... I had one like this once and it was a pain to keep all the straps together. Very nice! I LOVE your hair and bangs! Ooh, I love it! And it looks extra great with your brown hair.